This atlas of swine pathology features images of major diseases and aims to be an eminently visual and very useful tool for diagnosis. You can filter images by location and disease. 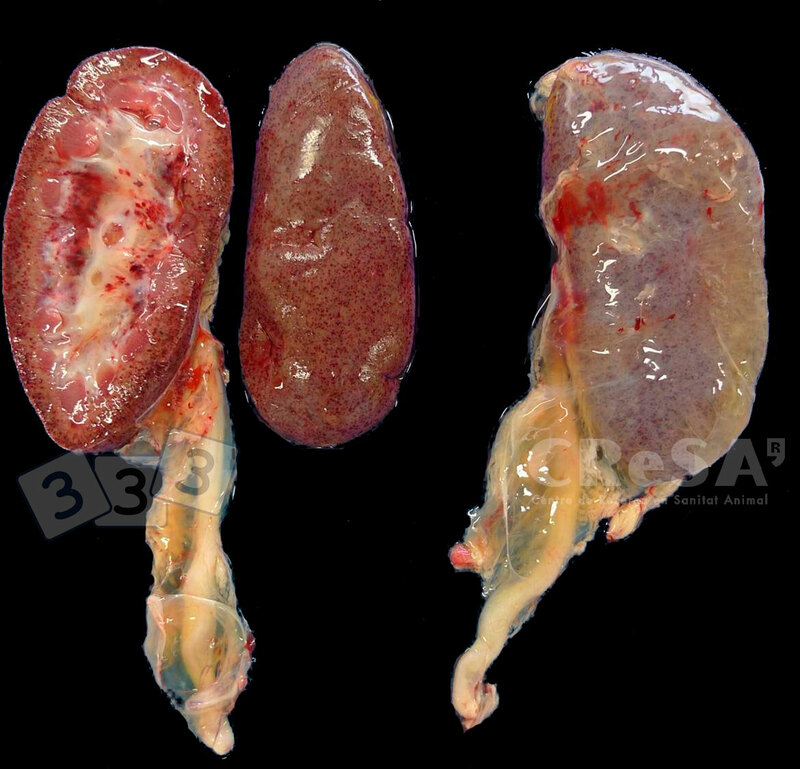 African swine fever (ASF) virus causes perirenal oedema and different patterns of renal hemorrhages, amongst other lesions. In the image petechiae (hemorrhages measuring less than 3 mm) can be observed in the renal cortex and in the renal pelvis. Differential diagnose must include anticoagulant toxicity and non-specific septicemia.